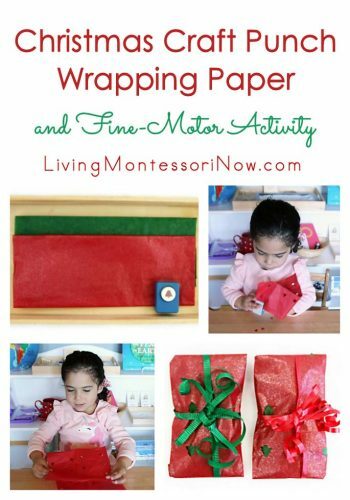 I like to have homemade wrapping paper for the ornaments my granddaughter makes as Christmas presents for her parents. 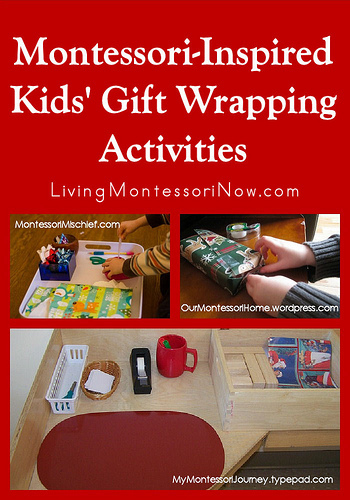 I prefer a quick and simple process-art activity that works as wrapping paper and looks nice underneath the Christmas tree. 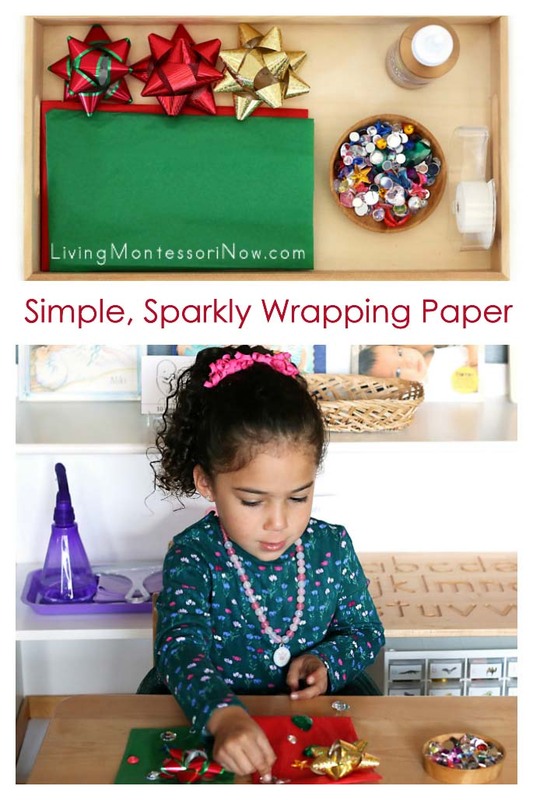 This year, I decided on a simple sparkly wrapping paper project that could be adapted for toddlers on up. 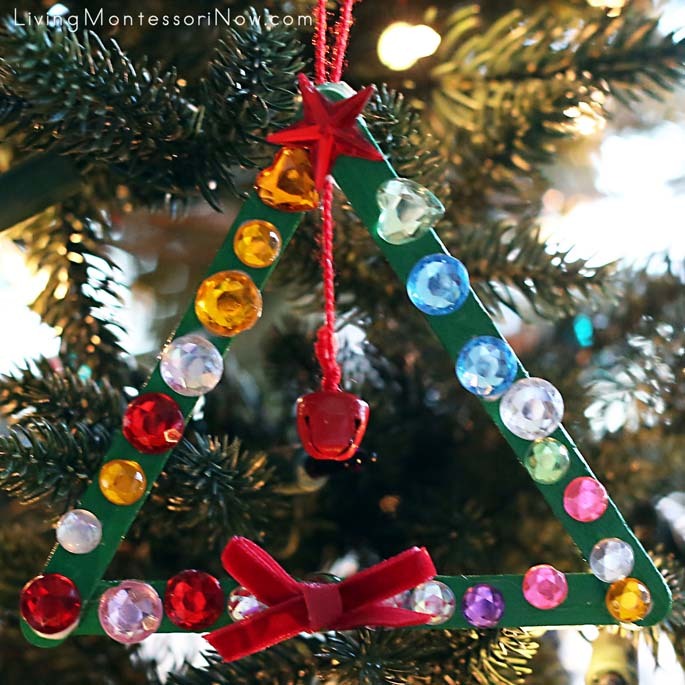 It goes perfectly with the sparkly craft-stick and jingle-bell Christmas ornament Zoey made. 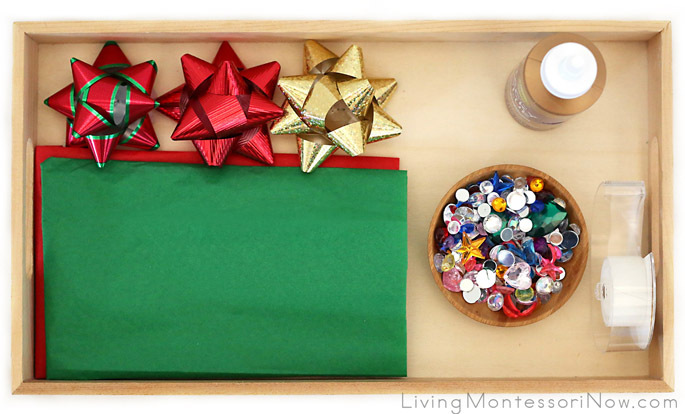 To fit our time schedule, I had precut and folded the tissue paper. Zoey used acrylic gems with glue. 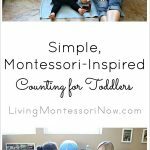 For toddlers, you might like to use rhinestone stickers. 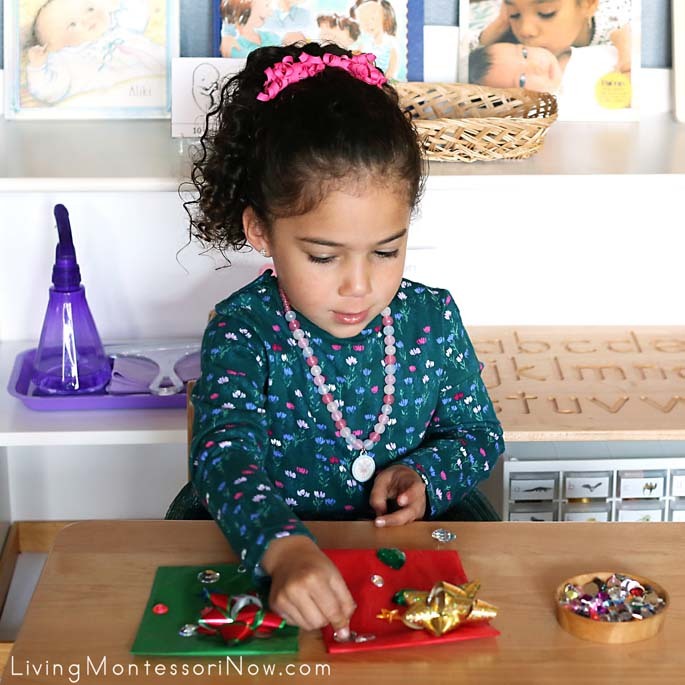 Then Zoey finished wrapping the sparkly craft-stick and jingle-bell Christmas tree ornaments she made for her parents the day before. 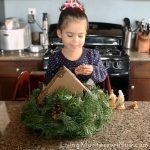 After putting each ornament in a tissue paper pouch, Zoey folded and taped the final side. 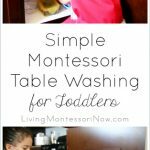 This was very quick and easy … just what we needed! 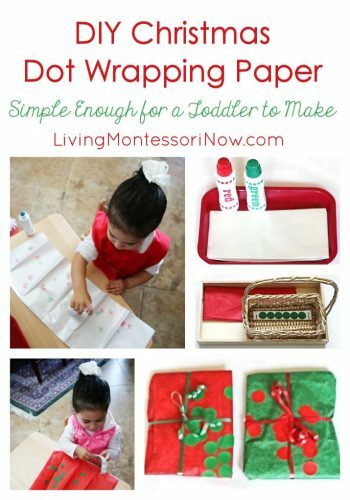 At age 3, Zoey made Christmas craft punch wrapping paper … fun, pretty, and so good for fine-motor skills! 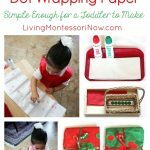 I have another wrapping-paper post with DIY Christmas dot wrapping paper … simple enough for a toddler to make. 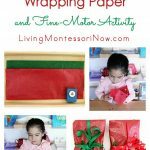 You’ll find some great Montessori-inspired gift wrapping activities (and even manners lessons) in my roundup post. 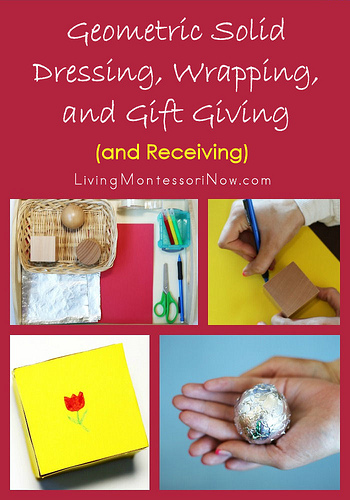 You’ll find activities related to geometric solid wrapping in my Spielgaben dressing, wrapping, and gift giving (and receiving) post.